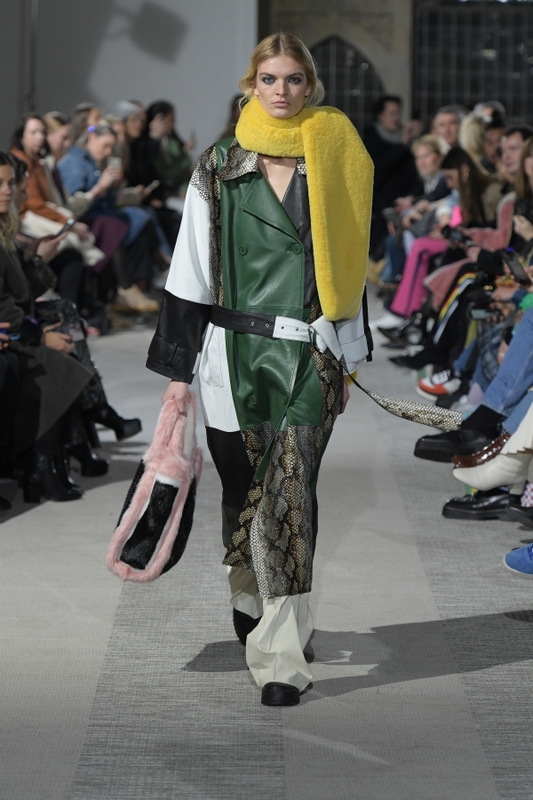 Swedish brand STAND presented their AW19 collection at Copenhagen Fashion Week combining signature pieces with some new concepts. 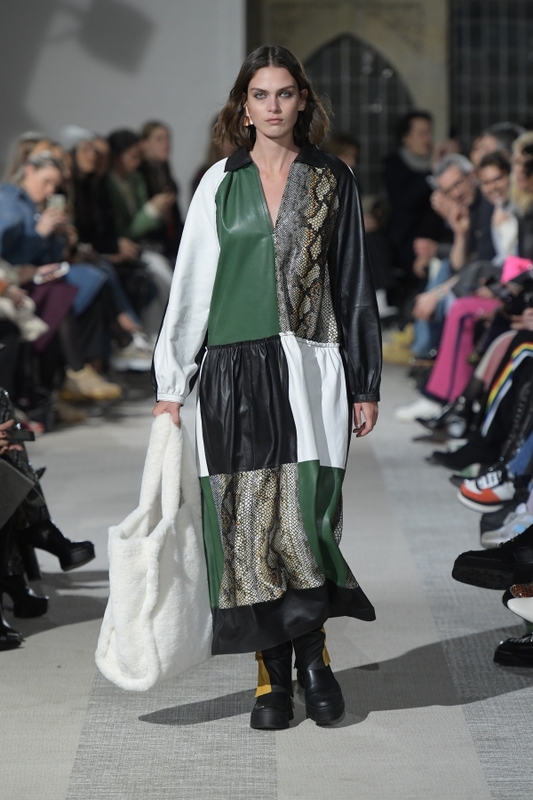 This season STAND experimented with leather-wear by applying unorthodox textile techniques such as linen fringe trims and creating patchwork with delicate leather and heavy topstitch. 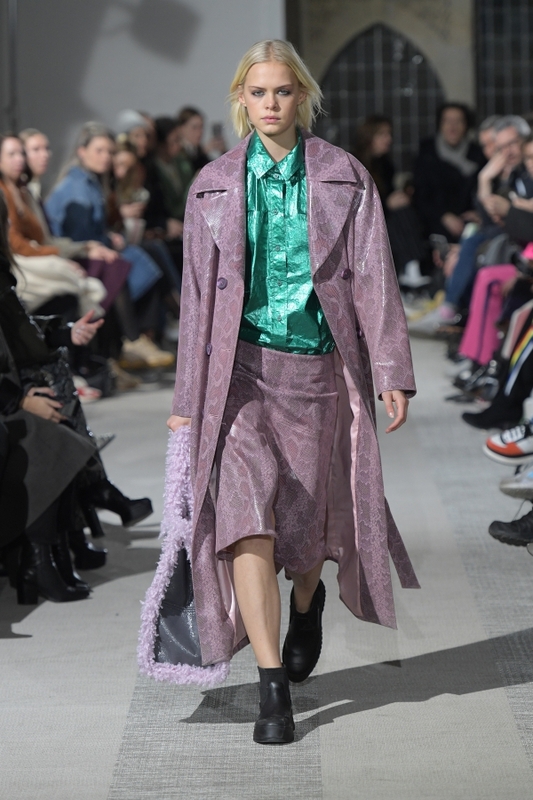 Printed multicolour leather was developed to create a vibrant feel, playing with both dynamic technicolour floral prints and playful snake prints. 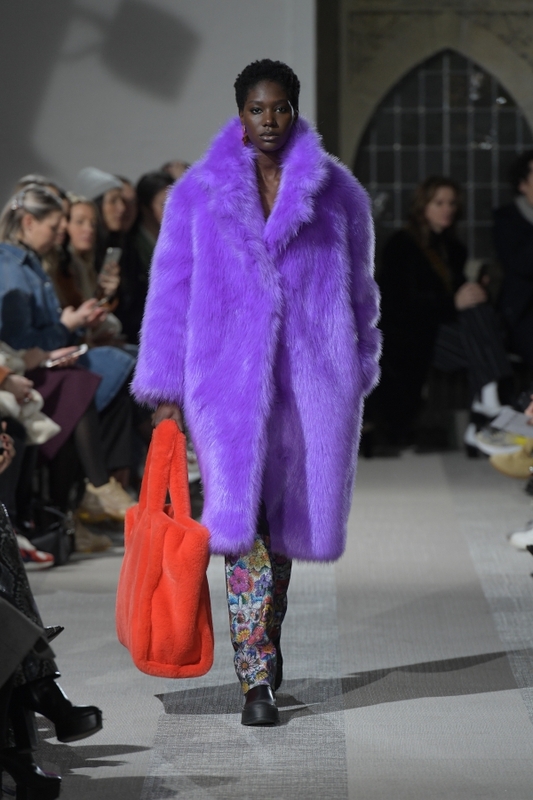 The idea of colour and playfulness within leather and faux fur pieces is a central part of the collection – and the result is a range of styles that are both chic and fun. 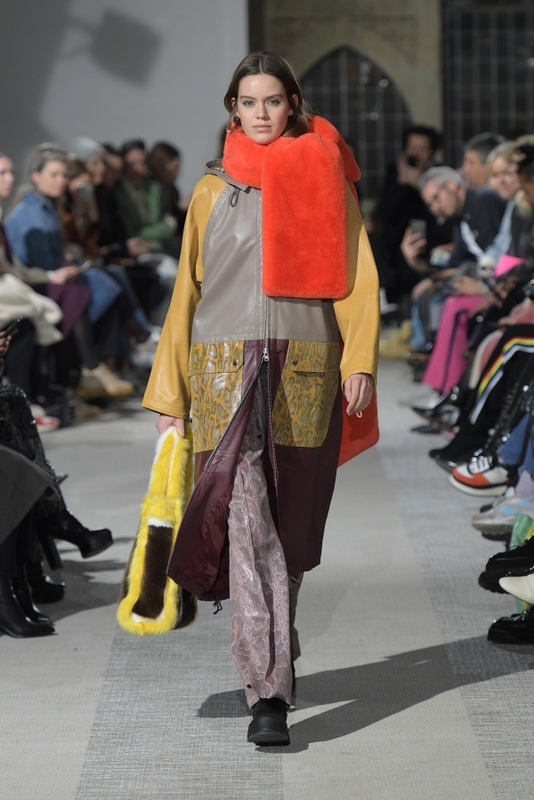 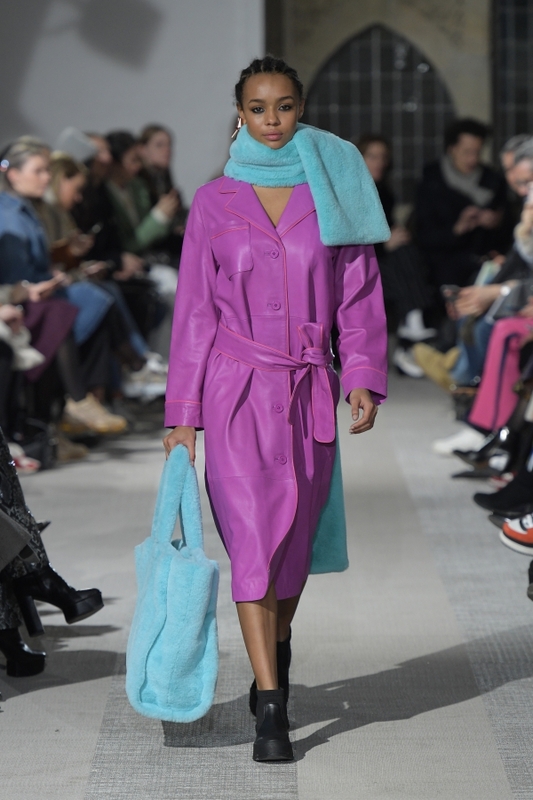 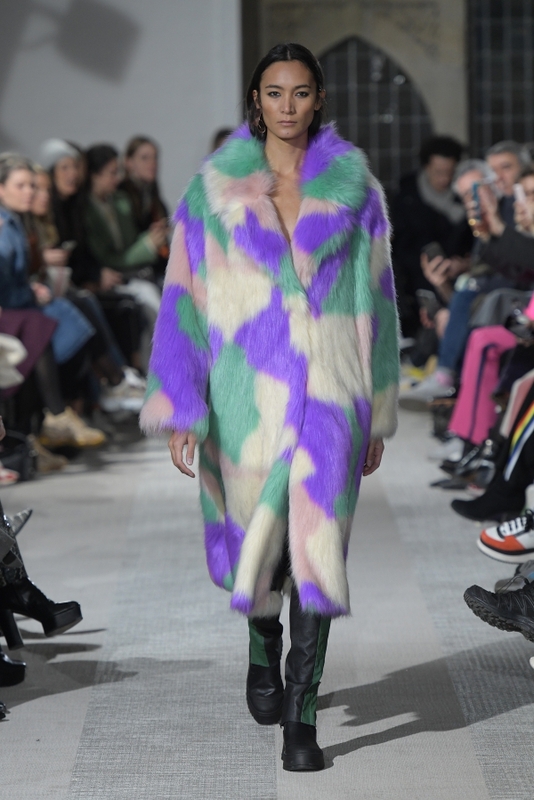  To balance the rich and saturated fall palette such as plums, greens and sand yellows – splashes of neon and pastels were added with acidic leo prints, bright coral and aquatic turquoise kalgan faux fur. 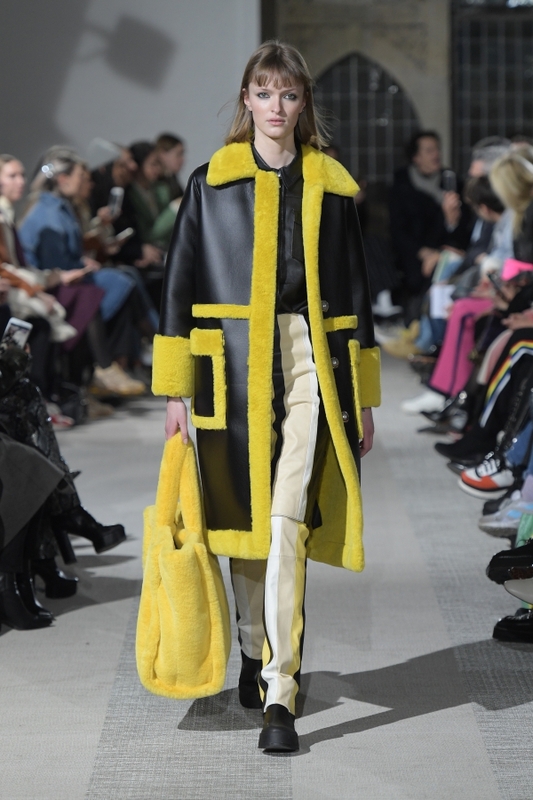 New to STAND’s collection this season is the combination of down and shearling made of luxurious materials. 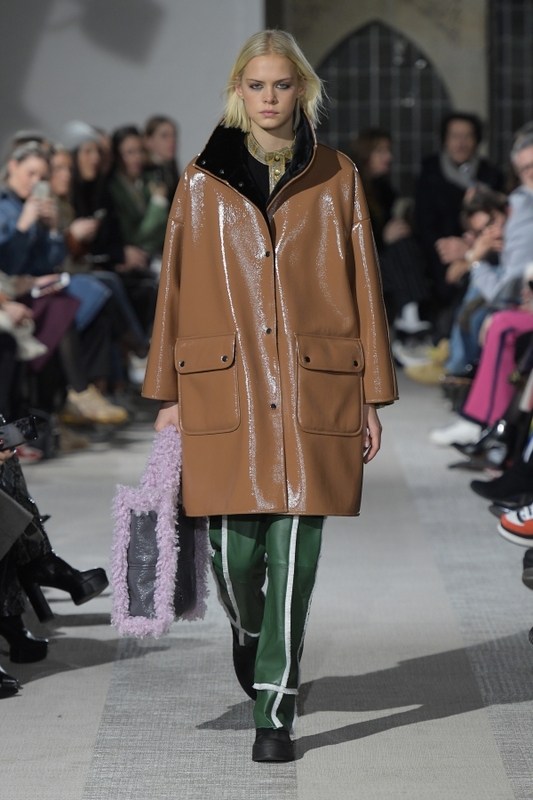 The silhouettes are both exaggerated and flattering, designed with a game of proportion and contrast, where different materials mirror each other and are not what they seem to be. 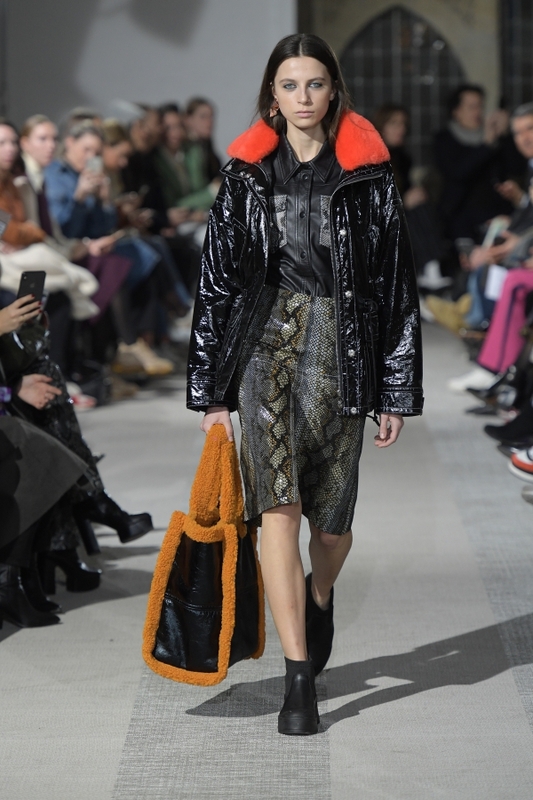 A great addition to the collection this season is the faux fur tote bag. 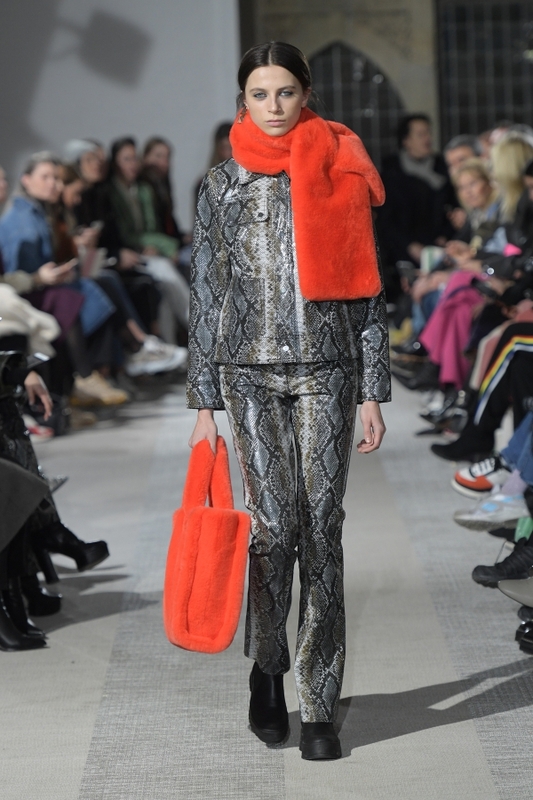 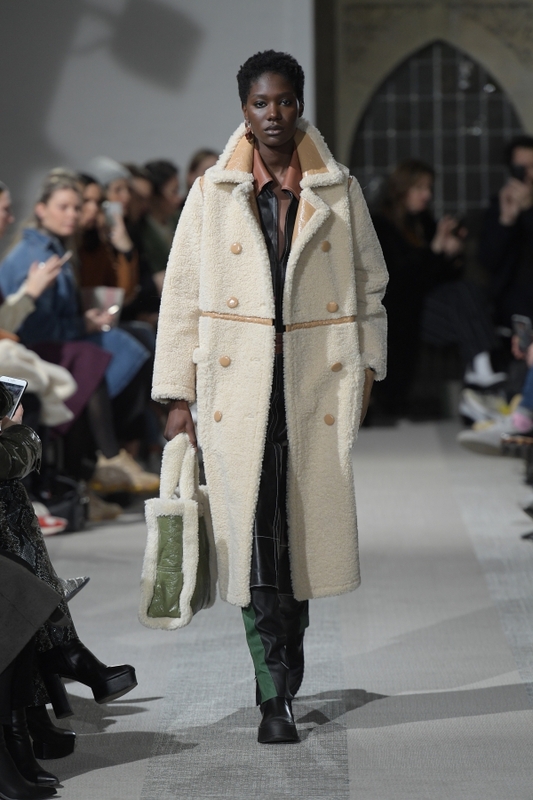 The obvious complement to the STAND look explores the full potential of faux fur and comes in several options that echo both materials and colour combinations from the AW19 collection. 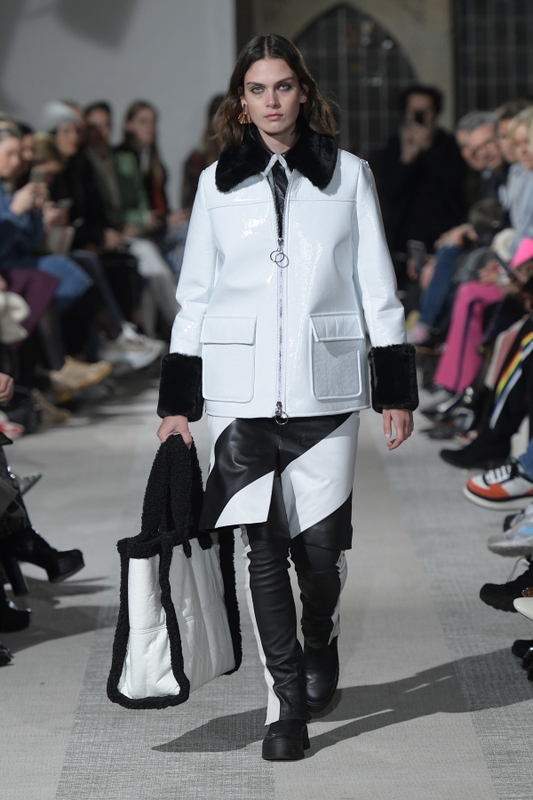 This all creates a collection that the modern-day woman will want to have in her wardrobe this season – leather, shearlings and faux furs integrated into an effortless chic look. 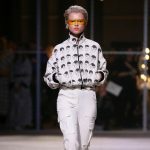 A Woman who channels that and have this kind of fresh and nonchalant approach to luxurious day-to-day wear, is the true inspiration of the brand and represents the true identity STAND.